Back to the hills and hollers for another Big Enchilada hillbilly episode. 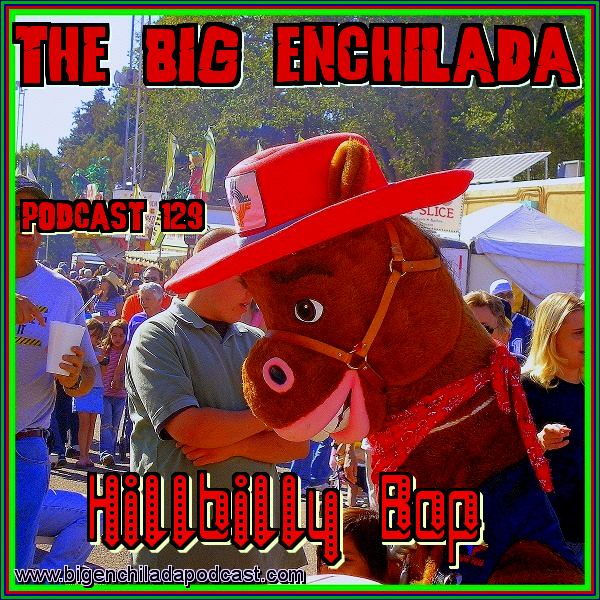 Real country music old as well as new, pure as well as mutated. For those who miss The Santa Fe Opry, hold this one close to your heart. And remember, The Big Enchilada is officially listed in the iTunes store. So go subscribe, if you haven’t already (and gimme a good rating and review if you’re so inclined.) Thanks. prince daddy and the hyena brocker cheddie skip cutscenes! The calendar is full of rumors. The Vernal Equinox corroborates. Welcome to Radio Free Alderaan: The first and last Real Rebel Radio broadcasting across the galaxy to fuel the Resistance and make you shake your body. Radio Mutation was formerly known as GaragePunk Pirate Radio (established 2005).